Malaysian Bioeconomy Development Corporation Sdn. Bhd. (Bioeconomy Corporation) is the lead development agency under the purview of the Ministry of Science, Technology and Innovation (MOSTI) for the biotechnology industry in Malaysia. Bioeconomy Corporation is wholly-owned by the Ministry of Finance Incorporated. Bioeconomy Corporation is governed by the Biotechnology Implementation Council and advised by the Biotechnology International Advisory Panel, both chaired by the Prime Minister of Malaysia. The objective of the establishment of Bioeconomy Corporation amongst others is to identify value propositions in both R&D and commerce and support these ventures via financial assistance and developmental services. It is also in charged of rolling out Malaysia's biotechnology initiatives and is the central contact point in providing support, facilitation and advisory services for biotech and life sciences companies in Malaysia. Initially incorporated in 2005 as Malaysian Biotechnology Corporation Sdn. Bhd. (BiotechCorp). In April 2013, BiotechCorp set up a satellite office in Penang to expand its presence in the Northern Region. The Office is the liaison center for local companies interested in obtaining grants and incentives for the biotechnology industry. In August 2013, BiotechCorp set up another satellite office in Kuantan, Pahang to streamline coordination and implementation of initiatives under bioeconomy and investment-related projects in the East Cost Region. In June 2015, BiotechCorp established its first flagship overseas office, BiotechCorp International Inc. in San Francisco, USA. It is the contact point for bio-based and biotechnology sectors in the USA providing Malaysian and US bio-based companies the necessary support for business development activities in bringing in foreign direct investments. On June 18, 2016, Malaysian Biotechnology Corporation Sdn. Bhd. 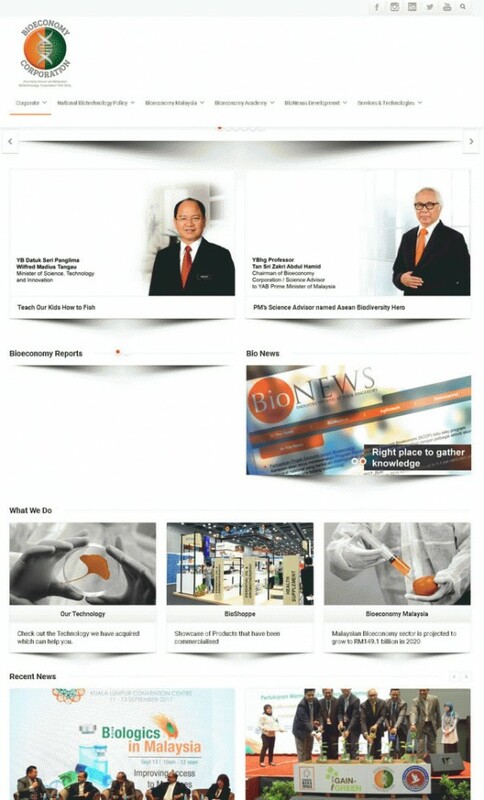 (BiotechCorp) was renamed Malaysian Bioeconomy Development Corporation Sdn. Bhd. (Bioeconomy Corporation) and expanding its roles and functions of uplifting and upholding the strategies and programmes of Malaysia's bioeconomy agenda. Malaysian Bioeconomy Development Corporation Sdn. Bhd.